Are you eligible to claim an Education Tax Credit on your 2017 tax return? You may be eligible to claim an Education Credit on your tax return. After January 31st, be sure your student checks the Payment Center through the Hofstra Portal to print Form 1098-T Tuition Statement if they received one. If you are an Authorized User you can also access the form and print it yourself. Form 1098T - This is an informational form only, prepared by the University for all students with reportable transactions in the 2017 calendar year. Total amount of payments made during the calendar year - You can determine the amount of your payments by reviewing your own banking records or reviewing your payment history through the Hofstra portal. Payments are not reported on Form 1098T. 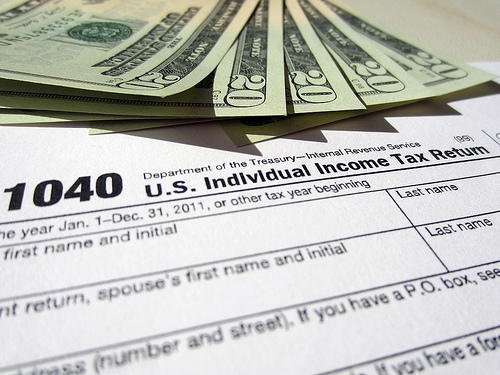 What is Form 1098T? Do I need it? All colleges and universities are required to issue Form 1098-T Tuition Statement to assist the IRS and the taxpayer in determining if they are eligible to claim an Education Tax Credit. 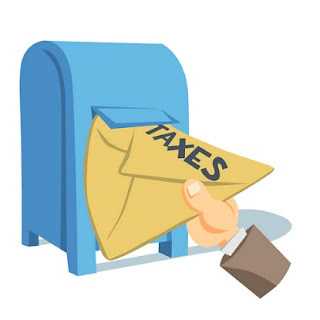 You do not send the form with your tax return to the IRS. 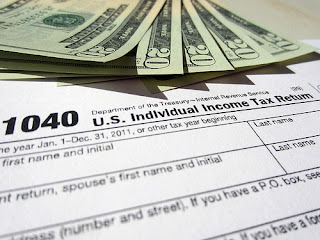 The University files the Form with the IRS and issues a copy to the student. You can use this copy to help determine if you can claim a credit. **Verify the SSN on the form is correct as this information is filed with the IRS where they may use it to determine if the taxpayer is eligible to claim the credit. The form doesn’t include any payments in Box 1. Why? Where can I get that information? Box 1 – Payments received for qualified tuition and related expenses will be blank for all Hofstra students. Educational institutions are required to report either the payments received for qualified tuition in Box 1 or the amounts billed for qualified tuition and related expenses in Box 2, but not both. Hofstra has chosen to report amounts billed for qualified tuition and related expenses. This does not necessarily mean your "payments received for qualified tuition and related expenses" are zero. To review all payments and other credits applied to your account during the year, please review your own banking records and your account history on the Hofstra Portal. I lost my form or I didn’t receive one. What should I do? If you or your student has elected to receive Form 1098T electronically, as the majority of our students do, a form will not be mailed to you. Students can access the portal and print a copy of the form for any tax year the student received one. In addition, details of the amounts included in each box of the form are also available on the portal. Students who have not elected to receive their form electronically are strongly advised to do so as the form contains personal information that is best kept in our secure online environment where it is easily accessible to students. The form is available online earlier than it is via mail. Forms will be postmarked by January 31st. Please allow time for delivery. It is possible a form was not prepared for a student if the student did not have any reportable transactions in the calendar year. The Post seems to be good I really gather a lot of information from the post thanks for sharing this awesome post. Appslure is the best mobile app development company in Gurgaon. The best provide application development services in all India. Thanks you for very interesting. Hey, introduce, we are the place for the T-shirt maker in Jogja. We can produce the best quality shirts and polo shirts in Jogja. Ingin city tour jogja gunakan saja layanan dari Naraharya Tour & Travel. Harga terbaik dengan layanan bintang lima. Buktikan segera. Tempat Kursus Web Jogja Terbaik hanya ada di JogjaWebHost. Ada banyak pilihan program kursus yang bisa diambil. I can’t wait for the latest update. The Information helps us. Hallo teman teman semua nya.. Yuk yang mau buat kaos, polo shirt, seragam PDH PDL untuk event, organisasi, perusahaan, dan komunitas kami menawarkan solusi. @amanah_garment_jogja siap membantu produksi produk konveksi teman teman semua. Kami telah menangani orderan dari instansi SPBU Pertamina, Samsung, Kementrian ESDM, PT. BUKAKA, Kementrian kesehatan, kaos partai dari pak ganjar pranowo, pak ridwan kamil, Kampus UGM, UMY, UAD, UNY, UTY, UII, STIE YKPN dan masih banyak lagi. Kami memiliki 52 Mesin produksi dan 200 Meja sablon yang siap melayani partai besar / kecil. Kami menawarkan bikin kaos jogja dengan waktu pengerjaan paling cepat 3 hari. Jika kalian mau cari vendor konveksi, langsung ke Amanah Garment Jogja. Ada diskon dan cashback menarik untuk jumlah produksi diatas 100 pcs. Penasaran dengan diskon dan cash backnya ? Hubungi kontak dibawah ini.